There may be many types of Masternode projects in development, but a successful project worthy of participation will share the following core elements: Team, Product, Community, and Adoption. Before taking part in any Masternode project, one must research these four key areas as they will determine its viability and chance of being successful. The most important part of any project, the team is responsible for executing the strategic vision. Ideally, a team should be comprised of diverse individuals with a range of experience that covers, at a minimum, cryptocurrency, Masternodes, Blockchain, and technical and business areas. A team that demonstrates strength in talent, experience, and foresight will increase the chances for engagement and investment in the company and project. You want a team that knows how to build and market the technology and manage a business. Masternode projects are distinctly advantageous given their instant transactions and low fees. But, a truly viable Masternode project must offer utility or a product. Due diligence is required to determine if a project is actually solving a problem. As questions, such as, is the team capable of developing a product and also delivering it to market? Is there a real demand for the said product? Technology for technology’s sake won’t cut it anymore. The product has to have a purpose. Crypto and Masternode projects with a strong community are far more likely to be successful then projects with a small or no community. A strong community can do a great deal to market both the project and its products at minimal cost while building passion for technology powered by a diversity of ideas. It’s critical to determine how big and how active a community is on a daily and weekly basis as frequent activity and support is a strong indicator of a project that may be worthy of participation. ADOPTION, ADOPTION, ADOPTION. Adoption refers to the use of a Masternode project’s token/crypto by others outside of the project. See if there are individuals or businesses already using the project’s token/crypto products. Without existing user adoption, there is very little chance of long-term sustainability and utility of the crypto/token. The Masternode project’s crypto/token must be used in some fashion, so establish what the token is being used for and how often it’s being used. And the best projects have a platform and technology built for real-world use; a technology that WILL be used by people on a regular basis. That shows a project is in it for the long-haul. Careful research in each of these areas will help inform decision-makers as to whether or not to participate in a particular Masternode project. While there are many Masternode projects that would not pass this analysis, the ones that do are certainly worth spending time and research on. Masternodes have a lot to offer individuals and businesses, and will undoubtedly become a new technology in demand. Find the right project, support the right team, get involved with the community and assist with adoption, and your involvement may just moon. AXEL is a leader in data privacy and data custody, with a highly experienced team of experts. The company is launching one of the world’s largest decentralized networks to bring Ultimate Data Custody to our individual, professional and enterprise users. 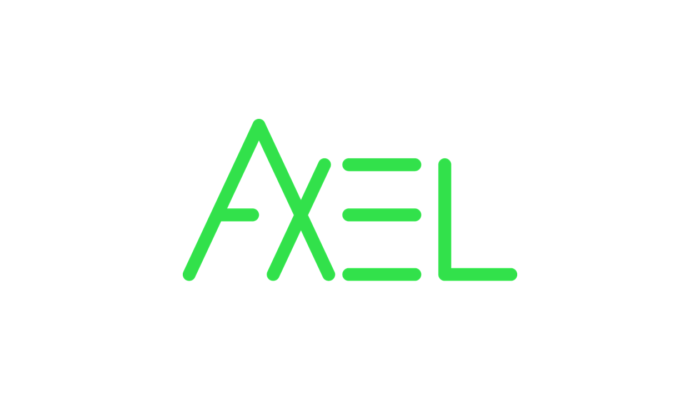 Known as AXEL.NETWORK, this is a decentralized and distributed net with a scheduled launch in the first quarter of 2019. The company also plans to introduce a number of distributed applications based on InterPlanetary File System (IPFS), Distributed Databases (DDB) and Blockchain technology throughout 2019 that will underpin its already vibrant decentralized application ecosystem and a large userbase. As part of the project, AXEL will deploy the AXEL Token in a proprietary process called SOAP, which will be used to Secure, Organize, Authenticate, and Protect (SOAP) users’ centralized and distributed data to ensure data privacy and data custody. AXEL will be swapping its previously distributed tokens from ERC20 to its own AXEL Blockchain in the first half of 2019. Tokens for Masternodes will also become available during that timeframe. This includes AXEL Exchange, with a demo that’s is now available, as well as AXEL.NETWORK, a revolutionary new decentralized and distributed network, powered by the AXEL Token being integrated into AXEL’s core applications – Virtual Drive, TackAPP and Let Me See.